Are Pests Overstaying Their Welcome? Nothing disrupts your peace of mind like discovering unwelcome pests in your home. If pests are overstaying their welcome at your home, let Corbett Exterminating kick them to the curb for good! Here at Corbett Exterminating, we believe that one pest in your home is one too many. When you’re a homeowner, you have so many important things to worry about, your pest control shouldn’t be one of them. That’s why we’re here to offer the best pest control in Pennsauken so you can focus on more important things. 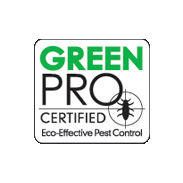 Our pest control treatments remove unwanted pests from your home and prevent them from coming back. What’s more, our services are affordable, so you can relax knowing your home is pest-free without breaking the bank. Now, when you sign up with Corbett Exterminating, you can save up to $100 on pest control. Sign up for our Home Care Plus or Home Care Premier pagackage and one of our friendly Pennsauken exterminators will be on their way to make your home pest-free! Although animals are cute in the wild, no homeowner wants to deal with nuisance wildlife in their home or on their property. Animals like raccoons, squirrels, bats, and other wildlife are unpredictable and aggressive. If you suspect your home has become a habitat for local nuisance animals, trust Corbett Exterminating with expert wildlife removal in Pennsauken! Our trained animal control experts know exactly how to make your home wildlife free! Let our team of highly trained experts get rid of wildlife in your home. 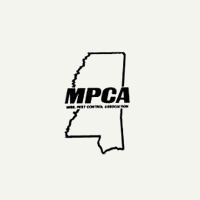 We have over forty years of experience dealing with wildlife and other pests, and your animal control problem is no exception! Our wildlife control in Pennsauken is guaranteed, so you can trust that when you choose Corbett Exterminating, you're getting the best exterminators in the business. Let us keep you and your family safe from wildlife in Pennsauken today! It's not enough to remove rodents, we want to keep them from coming back. After we've treated home, we'll seal all entry points where rodents are gaining access to your home. With our rodent control in Pennsauken, you can rest assured knowing your home is safe and rodent-free. We'll also educate you on the best ways to prevent future infestations, like avoiding conditions that give rodents easy access to food and shelter. Don't let rodents make your home their own any longer. Call us now to learn more about our effective rodent control in Pennsauken. Inspection - Inspection is the cornerstone of our Pennsauken bed bug treatments. We’ll inspect every nook and cranny of your home to help us design an individualized treatment plan custom to your home’s needs. Treatment - After diagnosing your problem and designing an intervention strategy, we will utilize a targeted combination of residual spray treatments, dusting treatments, void treatments, and more to best fit your home and its needs. Prevention - Our technicians are highly knowledgeable about bed bugs, how to get rid of them, and how to prevent them from ever coming back. We’re happy to help prevent future infestations by giving you the tools and tricks necessary to keep these bloodsucking pests out for good! If you’re looking for the best bed bug treatment in Pennsauken, give us a call today and we’ll help you evict bed bugs from your home for good! Did you know Corbett Exterminating has been controlling pests with the most advanced technology in the industry since 1976? 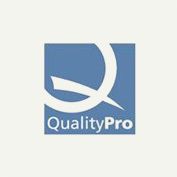 Our trusted team has years of knowledge and experience to tackle even the toughest pest problems! We’re also a family-owned business, and we take great pride in our exceptional customer service. When you choose us for your pest control in Pennsauken, you can trust that we’ll treat you as part of our family! An initial inspection performed by one of our expert Pennsauken exterminators. Extermination of existing termite colonies to keep them from causing any further damage. Preventative measures for long-term protection. One year warranties on your initial treatment. Annual renewals at a reasonable price so you can keep your home protected! If you suspect these costly creatures may be lurking beneath your home, give us a call today to schedule an initial inspection. We’ll send out one of our highly trained Pennsauken termite treatment specialists as soon as possible to look for any signs of wood destroying insects and to eliminate any colonies that may be found. Call us today at 908-709-9777 to protect your home from termites and other wood destroying insects! 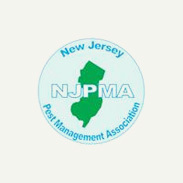 Now, when you contact us for your termite treatments in Pennsauken, you can receive a free exterior pest treatment to even further protect your family and home from dangerous pests! Check out our other Pennsauken pest control coupons for more great ways you can save. Let’s kick pests to the curb for good.